just a little glimpse of me and my family, my stitching and my generally boring life! 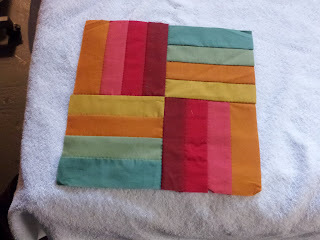 I finished another block last night. This one is called the Hourglass. It used the same technique that I used in the last block. I'm moving right along through these. They are getting easier and I'm sewing faster. 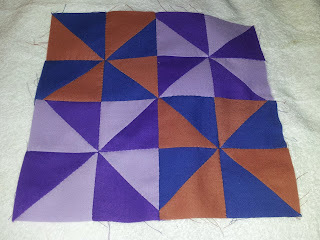 I finished another block this evening. This one is called the Star and I think it is my favorite so far. 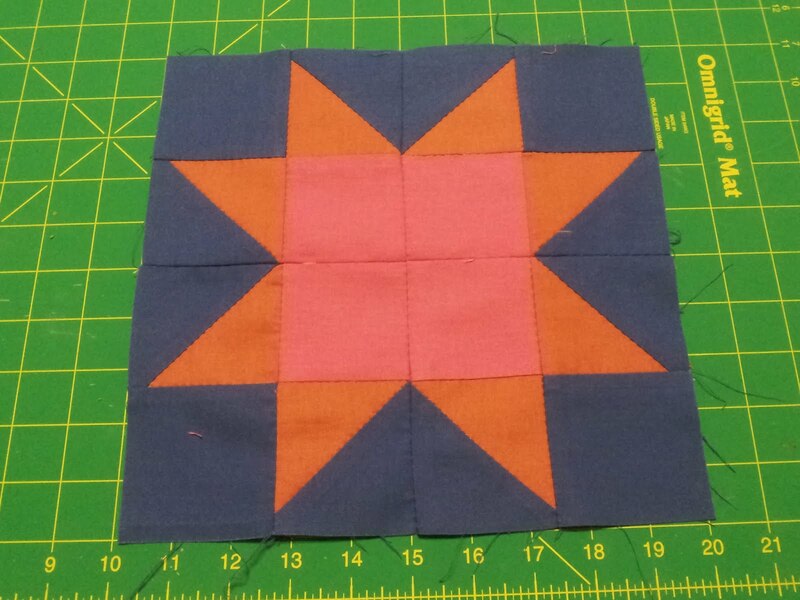 I seem to be getting faster at getting these blocks cut out and stitched together. I am behind and would like to be caught up before too much longer. 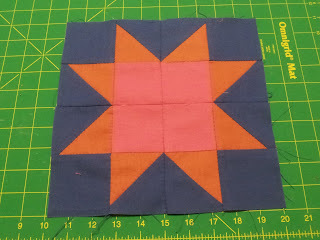 I finished another block this evening. This one is the Pinwheel. It wasn't very hard to do. I believe I had mentioned that I wasn't stitching and I'm not..... 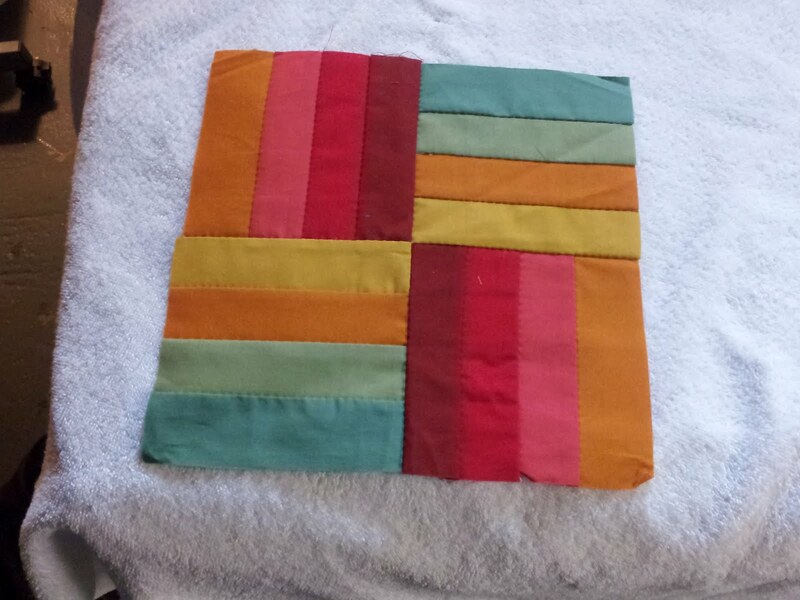 However, I am quilting. I found a block of the month online that I fell in love with and couldn't resist. It is 3 blocks a month for 5 months and July will be the last 3 blocks. 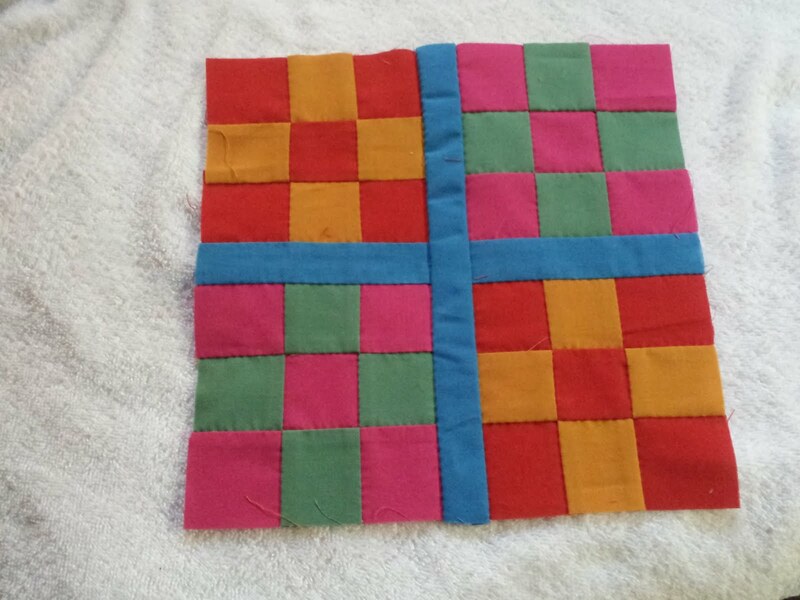 I am sewing these by hand only because when I began I didn't have my sewing machines with me. I have them now but it's too late to sew by machine. 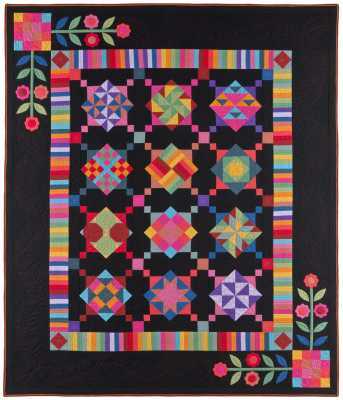 The quilt is called "Amish With A Twist". 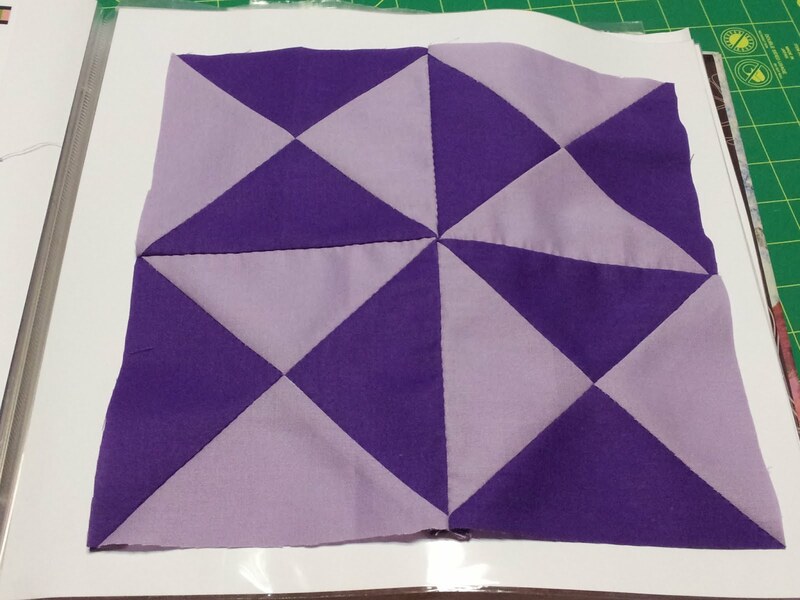 The first block I completed is called Rail Fence. My second block is called Four-Patch. 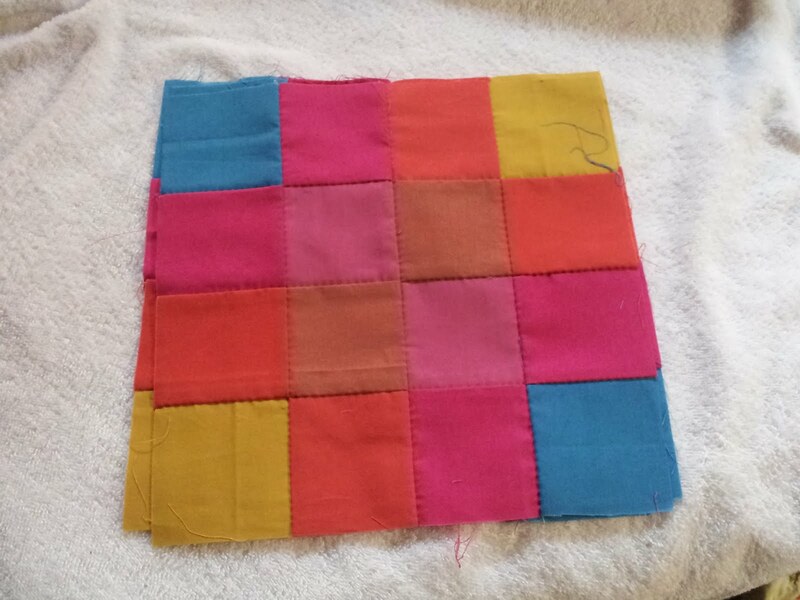 The third is Nine-Patch. The block I am currently working on is the Pinwheel. 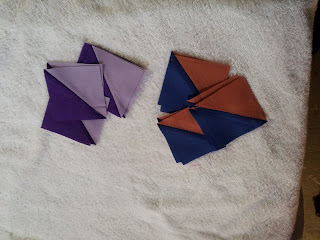 I have the triangles done but just need to put them together. I have alot of blocks left to do but am enjoying this so much! Well....once again, I have disappointed myself. I so wanted to keep this blog up and be able to show off my stitching. And again, I have failed. I guess until I can get my life into some kind of order, I am doomed to failure. I have so many UFO's and things to start and I just look at them. I just have no interest. I look at everyone's stitching and see all the new things that are coming out and I would love to have them....love to stitch them. It's just not going to happen for me right now. I have noticed that alot of people in the blogs that I read have taked on a challenge of sorts. Some are doing 15 new starts every day and then will attempt to finish them by the end of the year. Others are taking 15 WIP's and attempting to finish them by the end of the year. I think that I am unofficially going to join the 15 WIP's and try to finish them. I have soooo many unfinished projects that I would love to see finished and framed. I think that is what I will try. I will try to get those all pulled and listed here for you all to see. I can use the encouragement to get them done. I am also sure that I will start some new ones too. I am 54 yrs old, mother of 2.